Award winning volunteers and supporters. BWXT has been a faithful supporter of CASA for many years. 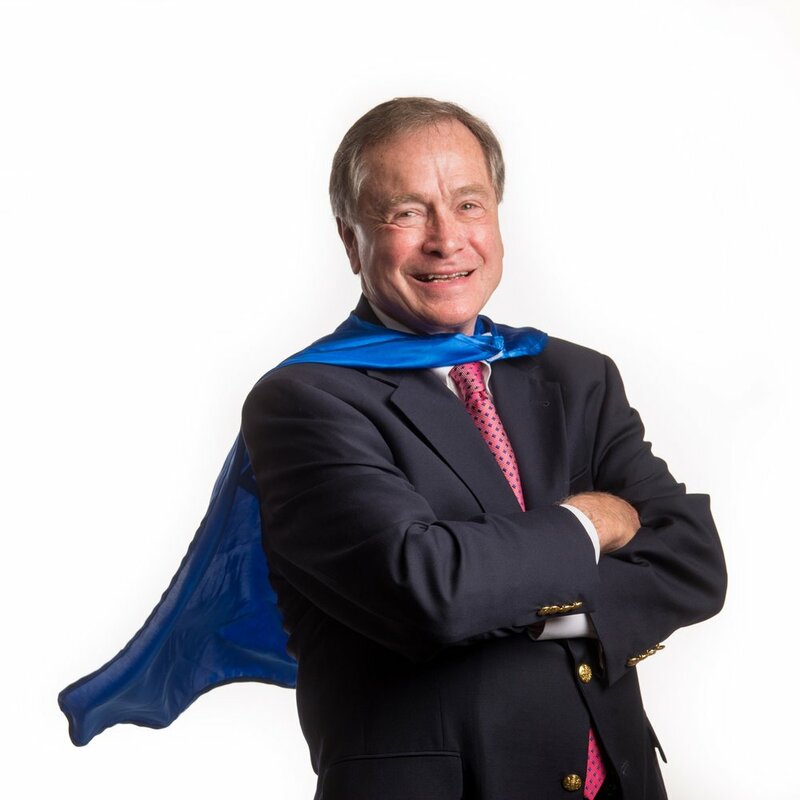 This past year, they sponsored both of CASA's major fundraising events, matched employee donations to CASA, and even paid for their employees and family members to run the CASA Superhero Run. We are grateful for their ongoing support of our mission. Knapsack Creative donated a new website to CASA in 2017. It was a complete rebuild which was labor intensive for their team. From start to finish, they were amazing to work with and it has enhanced our branding and marketing significantly. This was not in our budget so we are so appreciative of their generous donation of time and talent. In September of 2017, CASA of Central Virginia was chosen as one of the nonprofit partners for Touch-a-Truck, an event hosted by the Home Builders Association of Central Virginia that allows children of all ages to climb into trucks and other vehicles, watch the helicopter take off and land, and ride in Monster Trucks. The HBA presented us with a check for more than double what they expected. This was a fun partnership and we hope to partner again in the near future. Wells Fargo has been a long time supporter of CASA of Central Virginia. Last year, Wells Fargo sponsored both of our fundraising events, provided grant money to fund our in-service training workshops, provided an additional donation at the end of the year, and provided volunteers to help with our events. We are so grateful for the ongoing support of Wells Fargo. Rosa DeLoatch has been a monthly donor to CASA of Central Virginia for more than a decade. Her passion for helping children is evident in talking with her yet she is so humble. When asked why she donates, she simply says "Why wouldn't I?" 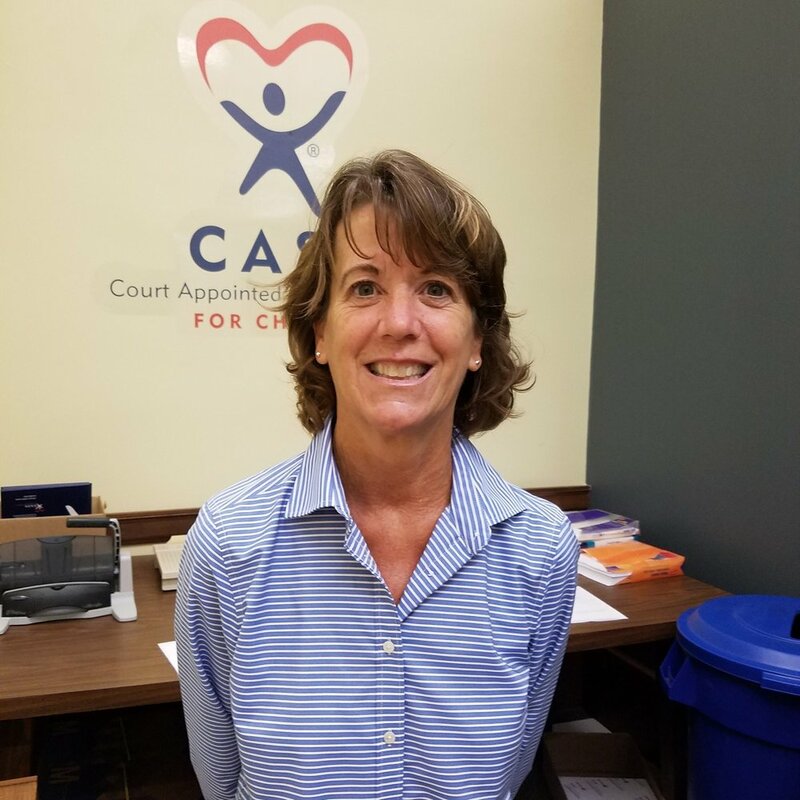 Our CASA volunteers are the one consistent person in the life of a child. Rosa is a consistent donor to CASA allowing us to continue our work in advocating for children. What a blessing she is to us. Thank you Rosa! Our 2018 Newbie Awards were given to these outstanding new CASA volunteer advocates: Pam & David Cox, Courtney Stamm, Traci Sargent, and Lee Williams. In recognition of CASA's 20th anniversary and to honor The Honorable Dale H. Harris, who initiated the establishment of the CASA program, CASA of Central VA established the Honorable Dale H. Harris Volunteer Hall of Fame. The first twelve volunteers were inducted at CASA's 20th Anniversary Celebration on March 19, 2010. The Hall of Fame was intended to recognize exemplary volunteers - board members as well as CASA volunteers - who had made significant contributions to the organization and to achieving positive outcomes for abused and neglected children. Each inductee is presented with an engraved, clear acrylic award; and his or her name is engraved on a perpetual plaque, which is displayed in the CASA Administrative Office. Must have served as a CASA volunteer or on CASA's Board of Directors for a minimum of three years. Must have demonstrated exemplary services as a volunteer, often going above and beyond the duties outlined in the job description. Must have made a measurable impact to improve the organization or the life of an abused and neglected child. Has received a written recommendation from a staff member or other volunteer familiar with the nominee's contributions. This award was established in 2017 in memory of former CASA board member, Blair Moseley. The award honors the legacy Blair left to CASA of Central Virginia. With a clear vision of the future and the need to secure funding and ensure sustainability, Blair helped to establish the Heart and Sole Shoe Market. Through her connections in the shoe industry and with Consolidated Shoe Company, the first shoe sale was held in the spring of 1999 and brought in $6,000. The event continued to grow and one year brought in a record setting $86,000. Although the event has transformed and re-branded throughout the years, it continues to be a signature fundraiser for CASA. We are grateful for Blair's vision and for Consolidated Shoe Company's continued support. Each year, this award is given to the companies and organizations who have gone above and beyond to support our mission and assist in efforts toward long-term financial sustainability for our program. This award was established in 2017 to honor an individual donor who has made a significant investment in the long-term financial sustainability of our program. This award goes to the volunteers who were recently inducted who have gone above and beyond in their role to advocate for children. Each advocate manager nominates one volunteer annually. The President's Council on Service and Civic Participation (the Council) was established in 2003 to recognize the valuable contributions volunteers are making in our communities and encourage more people to serve. The Council created the President's Volunteer Service Award program as a way to thank and honor Americans who, by their demonstrated commitment and example, inspire others to engage in volunteer service. Recognizing and honoring volunteers sets a standard for service, encourages a sustained commitment to civic participation, and inspires others to make service a central part of their lives. The President's Volunteer Service Award recognizes individuals, families, and groups that have achieved a certain standard - measured by the number of hours of service over a 12-month period or cumulative hours earned over the course of a lifetime.